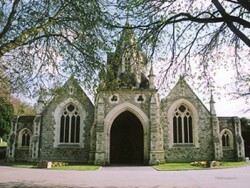 Putney Vale Crematorium stands within the grounds of Putney Vale cemetery surrounded by Putney Heath and Wimbledon Common. The site covers 47 acres. 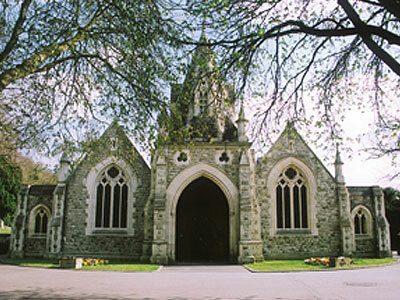 Putney Vale was established as a crematorium in 1938. 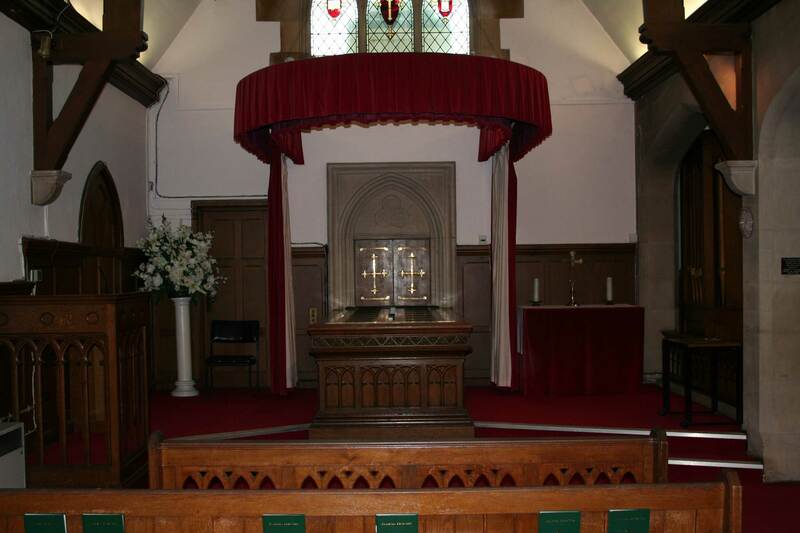 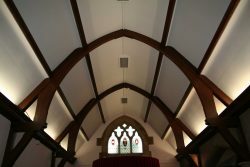 We have two contrasting chapels provided for cremation services. 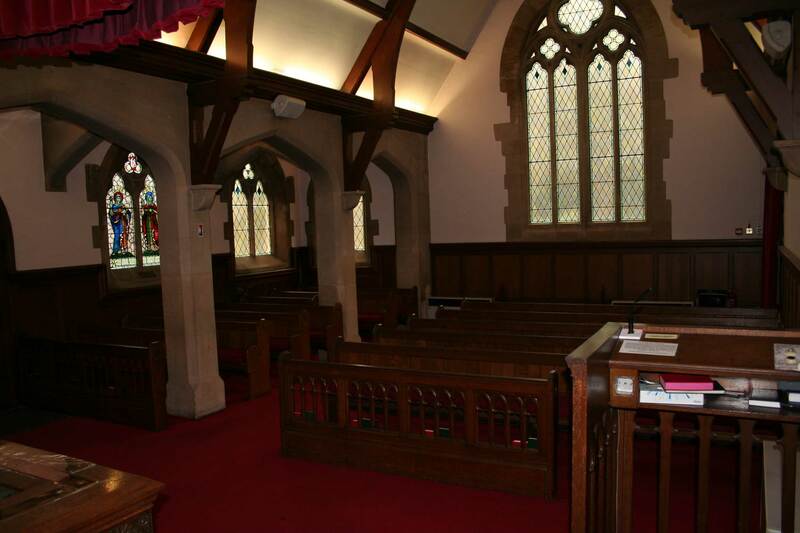 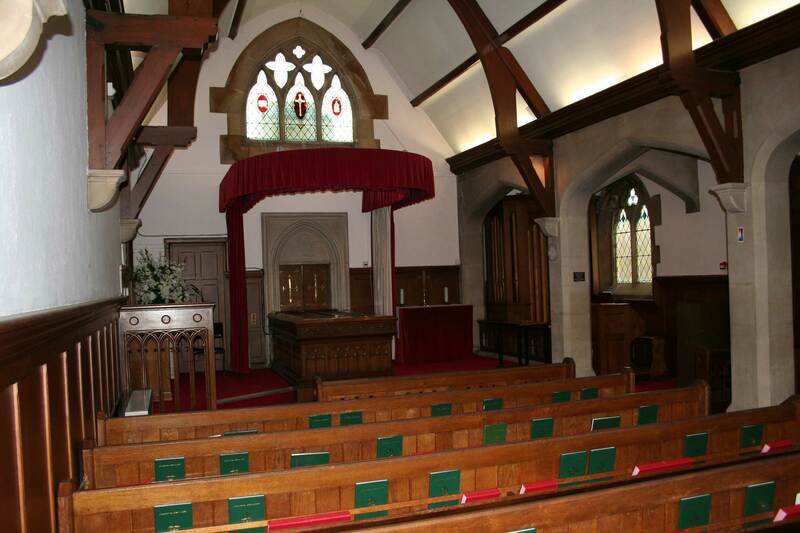 West chapel is a typical Church of England styled chapel with high beamed ceilings and ornate woodwork. There is sufficient seating on pews for up to 80 mourners and room for another 30 or so people to stand. 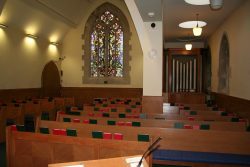 Should a larger congregation be expected we can provide external speakers so that people outside and hear the service or for a small fee you can hire the east chapel where the additional mourners can listen and watch the service on the display screens. 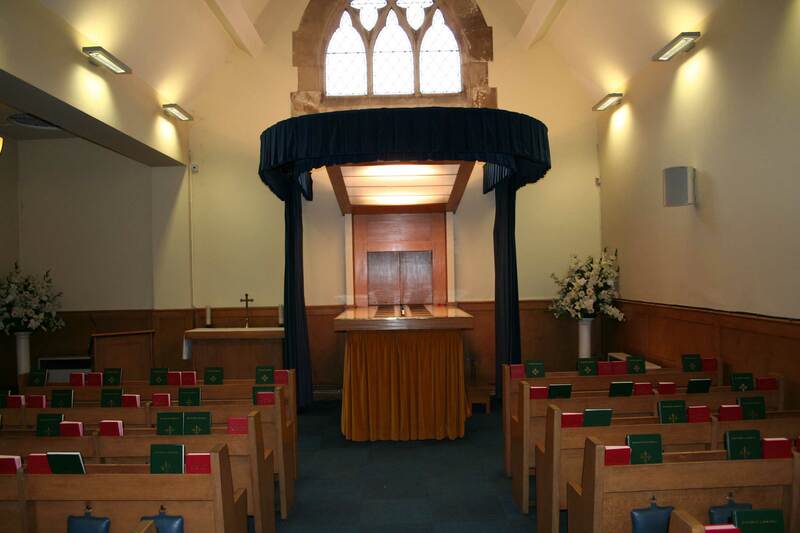 East chapel is our modern bright and airy chapel with white walls and less ornate features. East chapel can seat up to 70 mourners with up to 30 more standing. 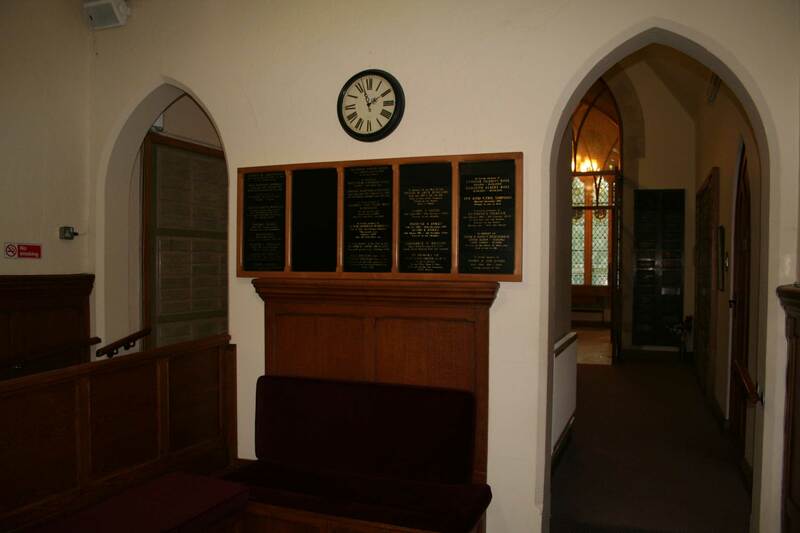 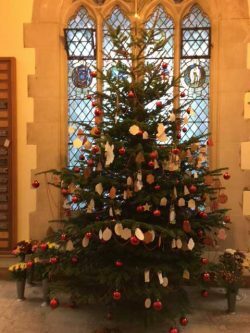 There are two display screens in East chapel which can display a photograph of your loved one throughout the service or a range of slide show options are also available. 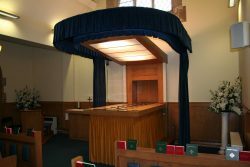 Music is provided by the Obitus music system (please speak to the funeral arranger or the office for more information) or a quality organ is available should you wish to provide an organist. Please note that we do not accept audio CD’s or media devices and the Obitus system must be used for all pre-recorded music. 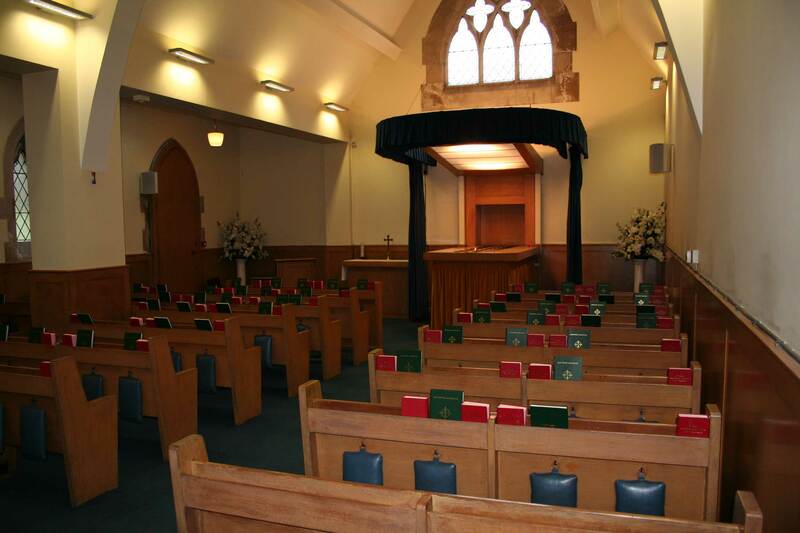 Webcasting/recording of services is available in both chapels. It is possible to stream the funeral service ‘live’ over the internet so that mourners who can not attend can watch the service. 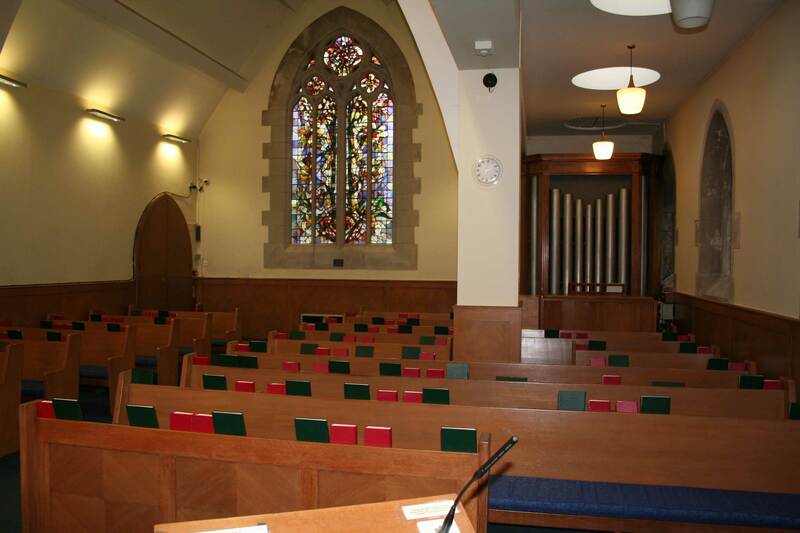 You may also purchase a copy of a service on a range of media (DVD/Blu-ray/memory stick). 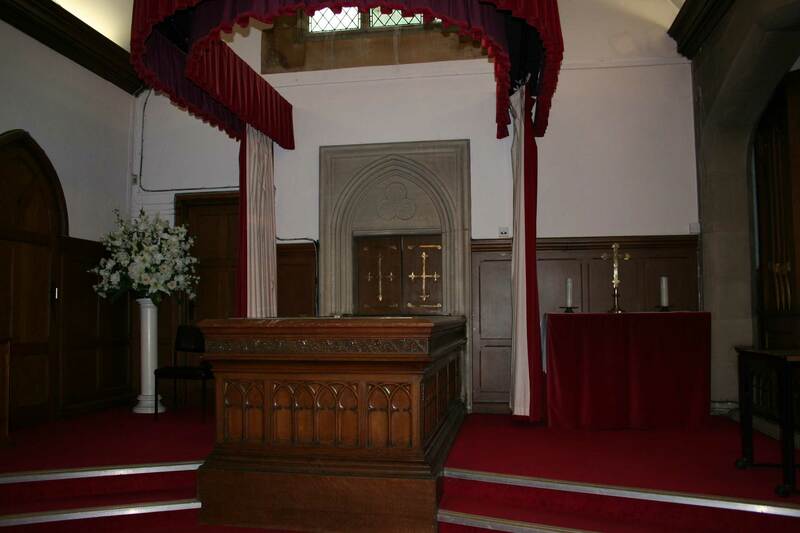 Please speak to the funeral arranger or the office for more information. 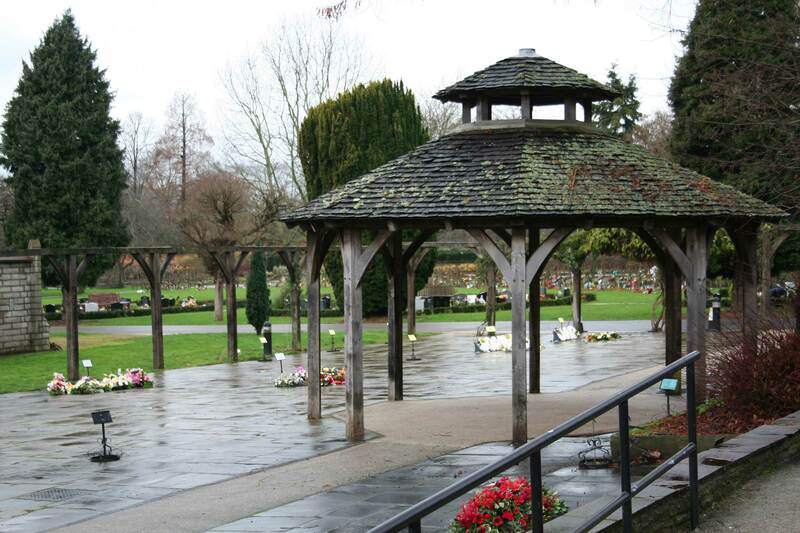 The floral tribute area is located adjacent to the entrance to west chapel. 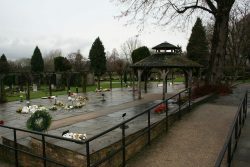 A large patio area laid in york stone providing an area for the floral tributes to be placed so that mourners can view the flowers after the service. 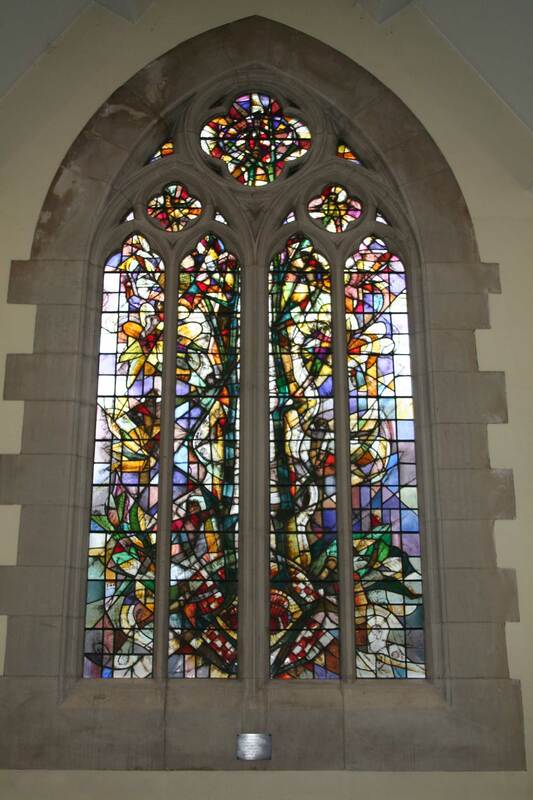 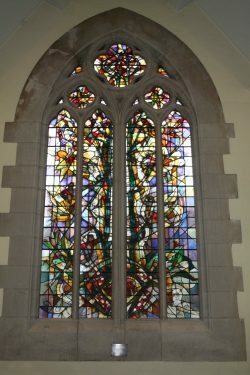 The flowers remain in the area for one week after the service and are then be cleared by our staff. 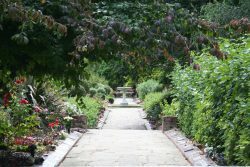 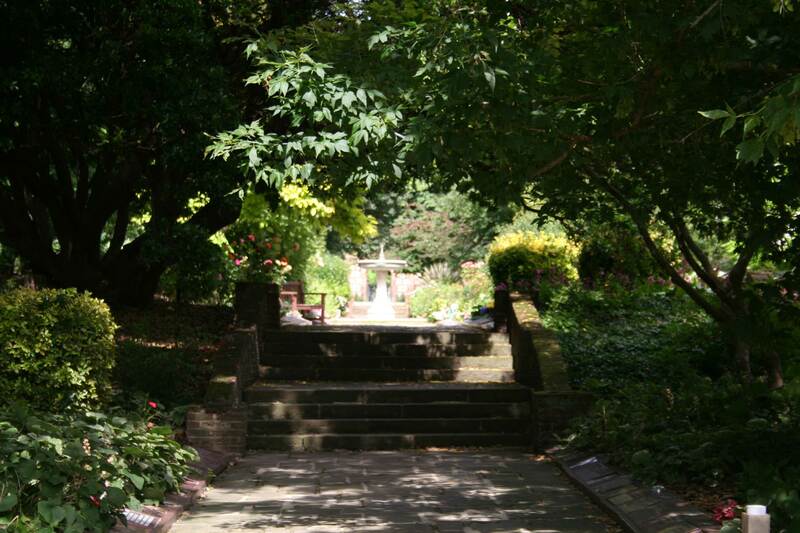 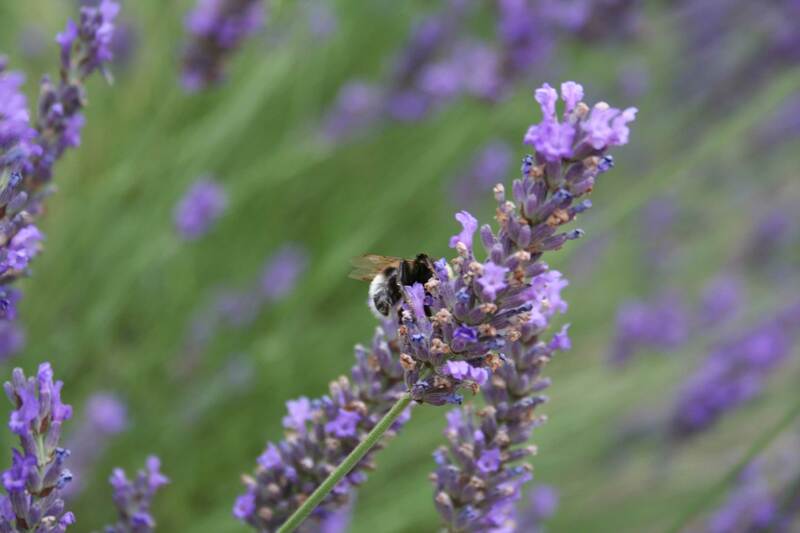 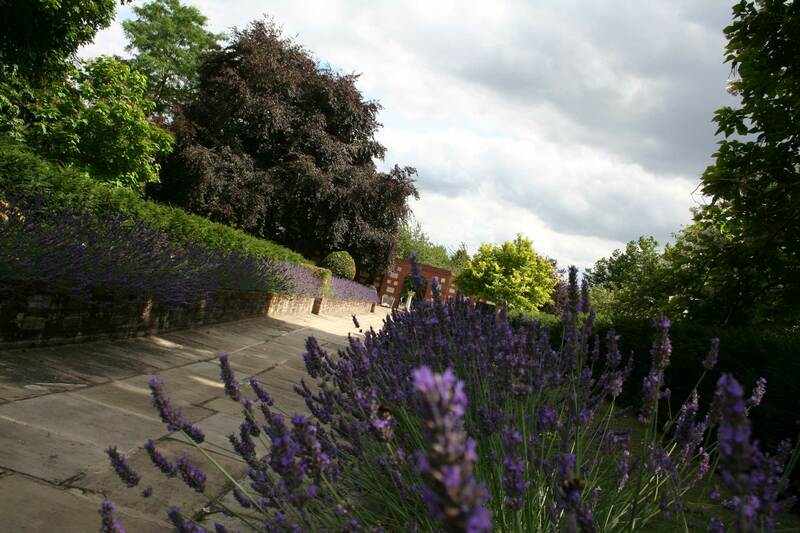 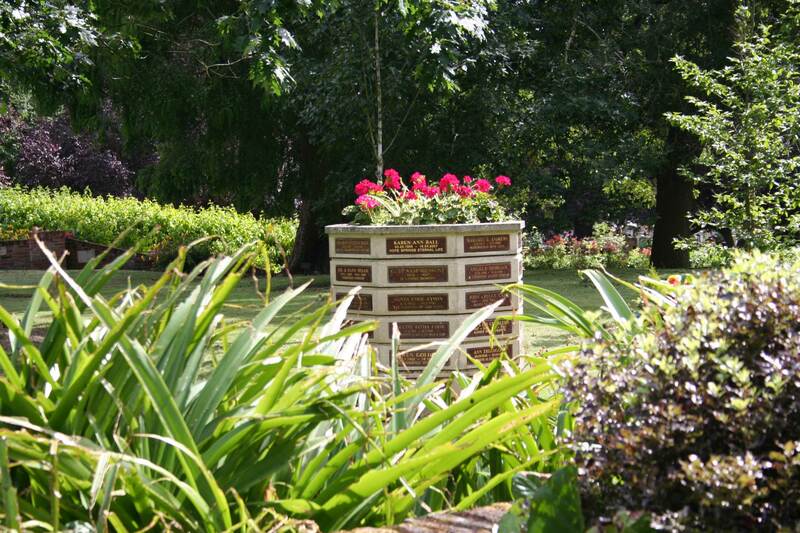 The gardens of remembrance offer a peaceful area for families to scatter the cremated remains of their loved ones. Within the main ‘formal’ gardens cremated remains can be scattered under one of the many trees and in the glade of remembrance, a more natural woodland setting the cremated remains can be scattered on the grass. 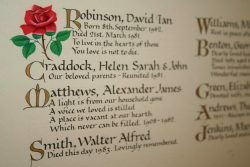 Memorials. 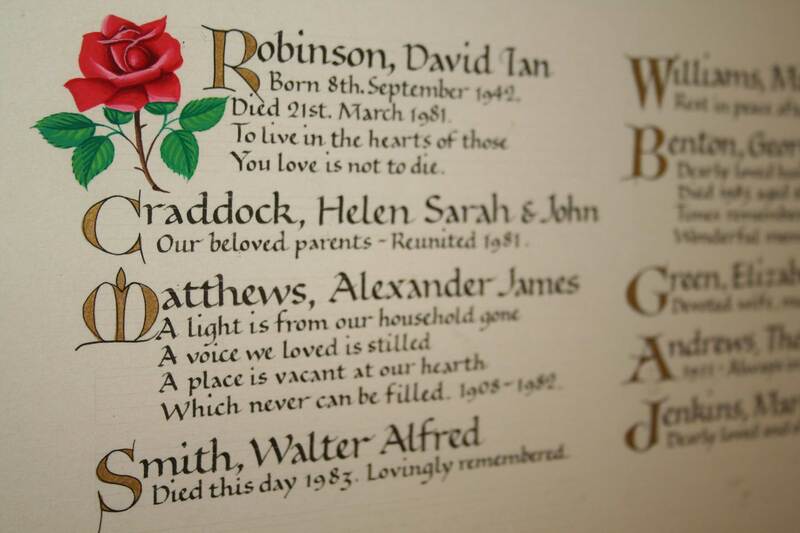 If desired a memorial can be purchased on a renewable lease. 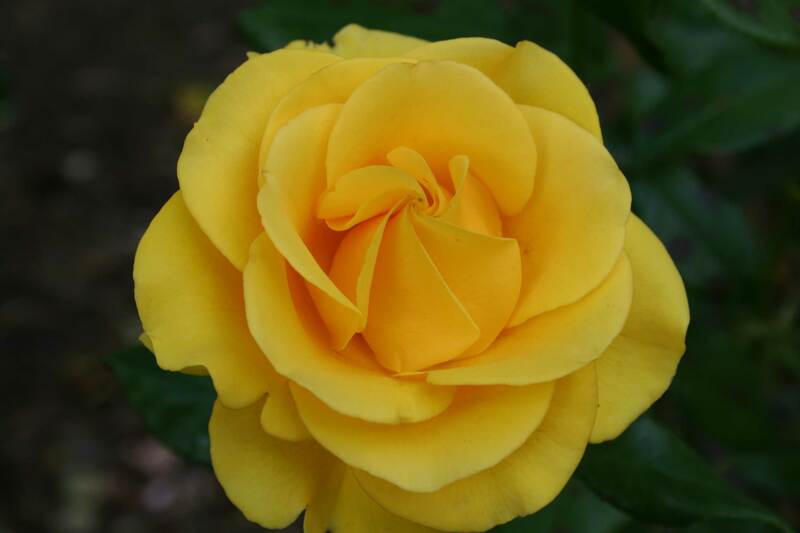 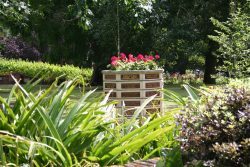 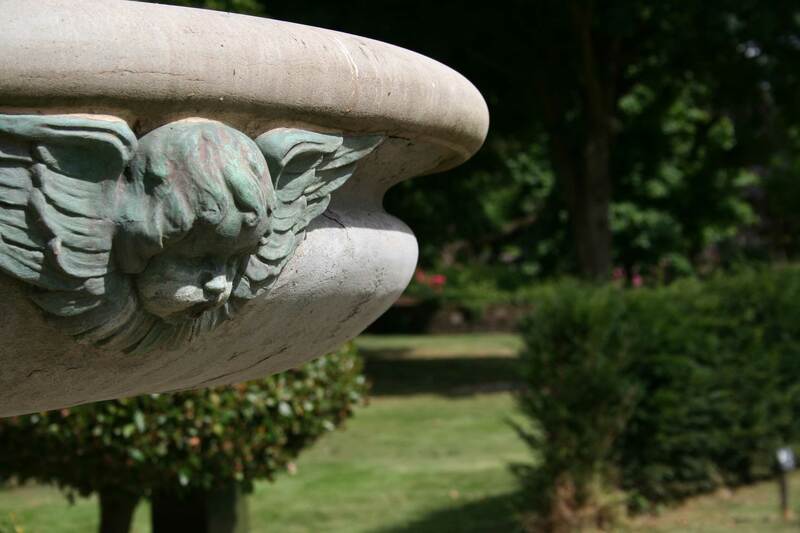 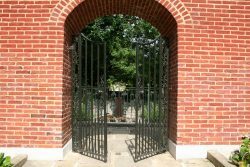 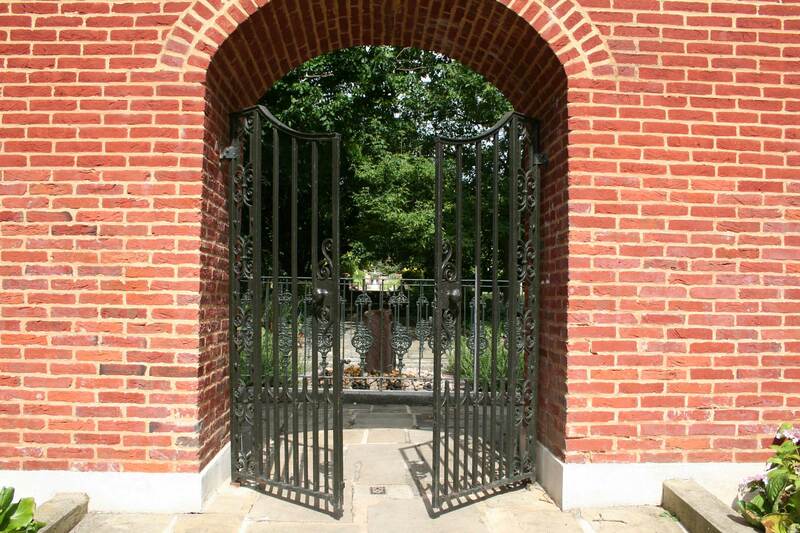 There are a selection of memorials which are located in the gardens near to where the cremated remains are scattered or you can purchase a cremated remains grave or vault to include the placing of the cremated remains. 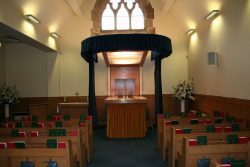 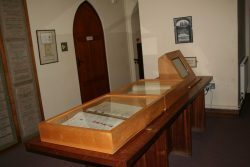 At the rear of the crematorium building is the recordia room which houses the book of remembrance and some of our memorial plaques. 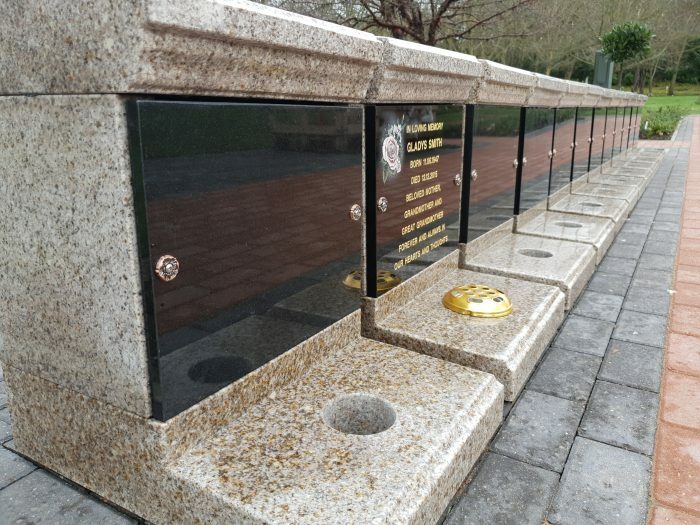 Please click on the ‘memorial options’ link at the top of the page for more information. 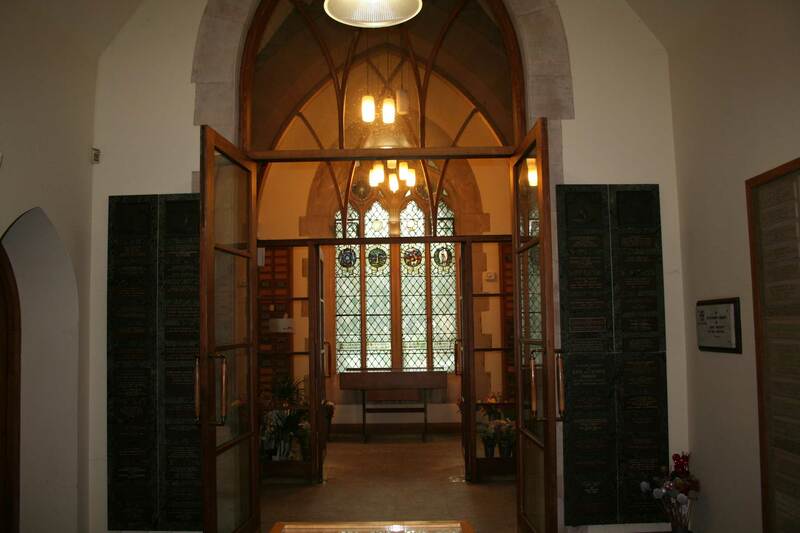 The crematorium building is open 10am to 1pm on Christmas Day. The grounds are open every Bank Holiday as the Sunday of that month and from 10am to 1pm on Christmas Day.